Approximately one out of every three adults in the United States has elevated blood pressure, a condition called hypertension, the Centers for Disease Control and Prevention reports. Though numerous antihypertensive prescription medications are available, treatment with a natural supplement called hibiscus may also help lower your blood pressure levels. Dried flowers from the Hibiscus sabdariffa plant are usually prepared as a medicinal tea. The amount of hibiscus you should take to lower your blood pressure levels may vary depending on your weight, age and health status. Your primary medical provider is the only person who can recommend the appropriate dose of hibiscus for your condition. For this reason, consult a doctor before taking hibiscus as a treatment for hypertension. To lower blood pressure, health professionals with the University of Michigan Health System recommend infusing 1 cup of water with 1 to 2 teaspoons of dried hibiscus flowers. You can consume up to three cups of hibiscus tea daily. Alternatively, drinking one 500 milliliters serving of hibiscus tea each day before breakfast may also help to lower your blood pressure levels. Hibiscus is usually well tolerated when used as directed. Despite the potential health benefits associated with hibiscus, treatment with this herb isn't appropriate for everyone. 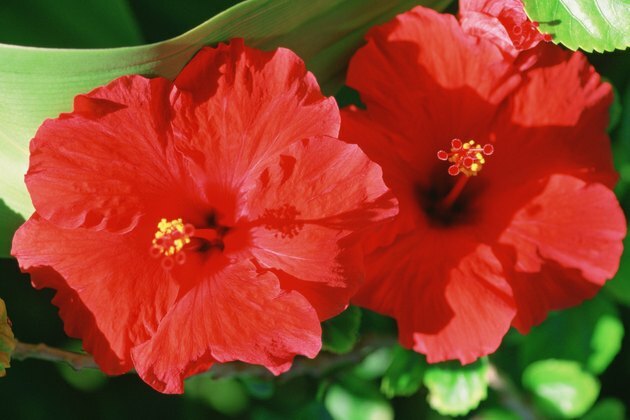 The safety of hibiscus has not been evaluated in children and pregnant or lactating women. For this reason, children and expectant or breast-feeding mothers should avoid using hibiscus without first consulting a doctor. Consuming hibiscus before taking a dose of acetaminophen may increase the rate at which your body metabolized this pain-reliever. Until more is known about this medication interaction, avoid taking hibiscus in conjunction with acetaminophen.